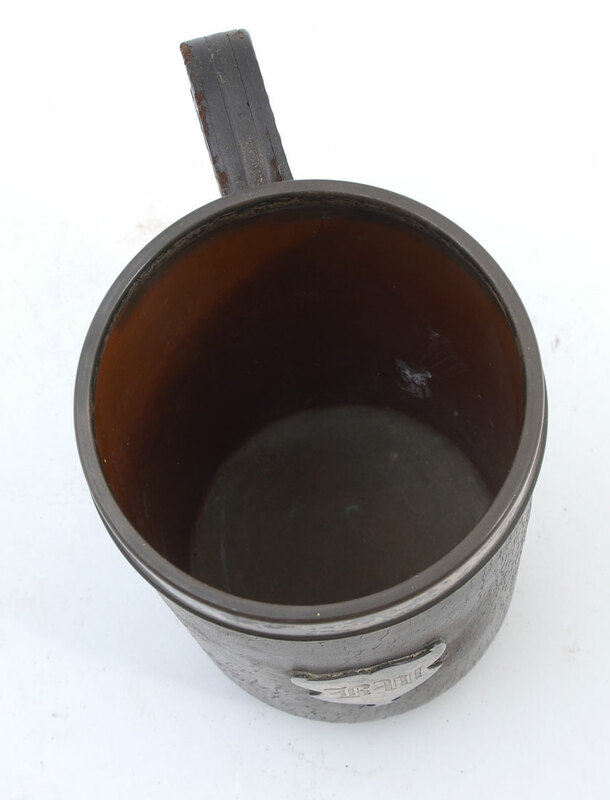 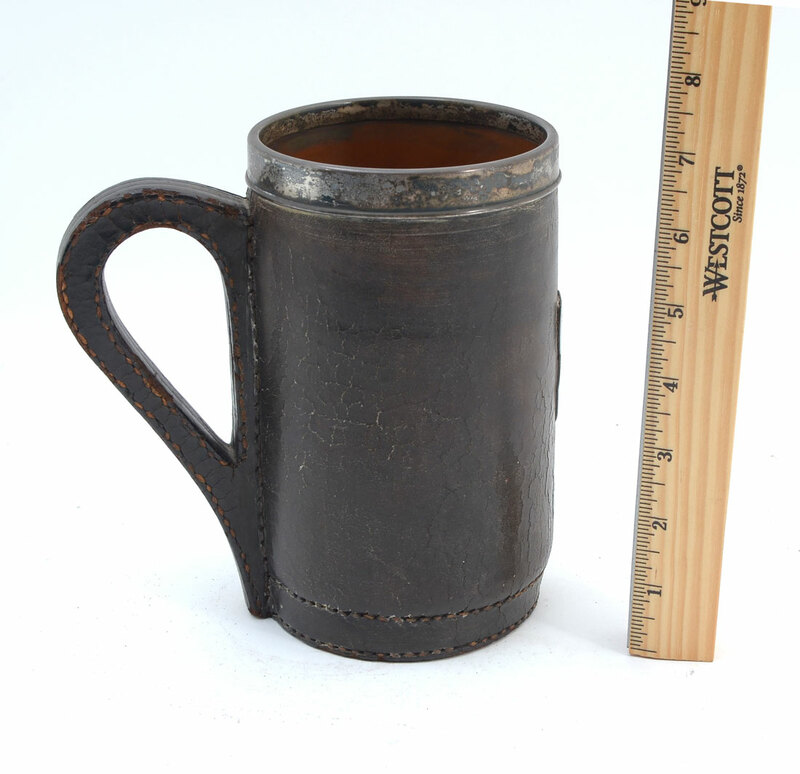 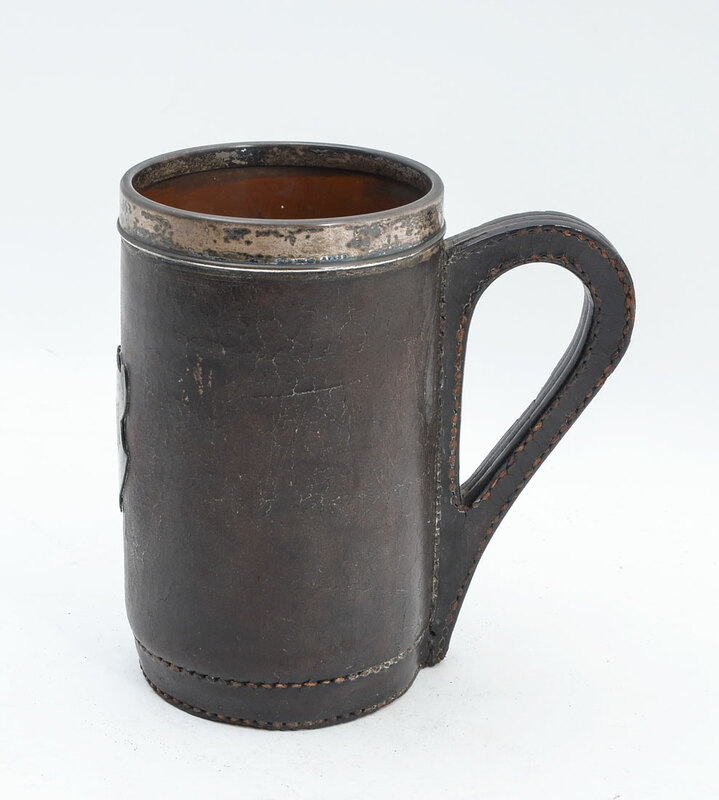 GORHAM STERLING MOUNTED LEATHER TANKARD: Mid to later 19th century, leather wrapped metal body and handle, rim marked with Gorham hallmarks, Sterling, A?463. 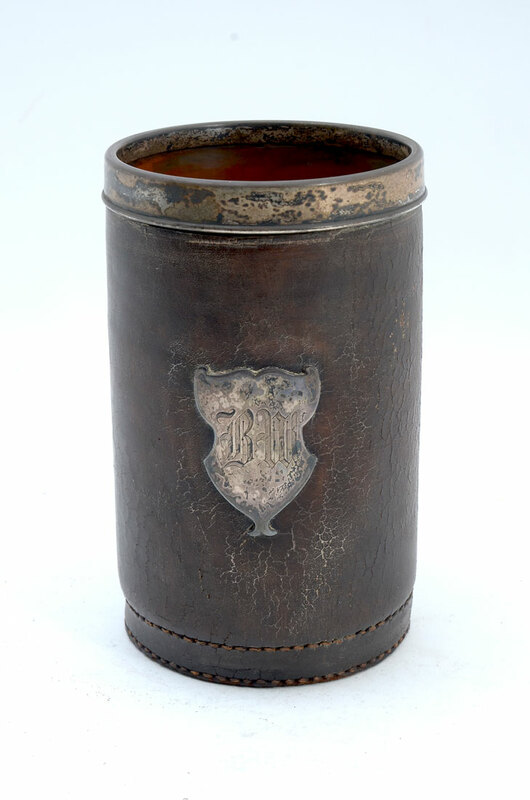 Monogrammed shield on body, overall 7'' h. x 6 1/2''. 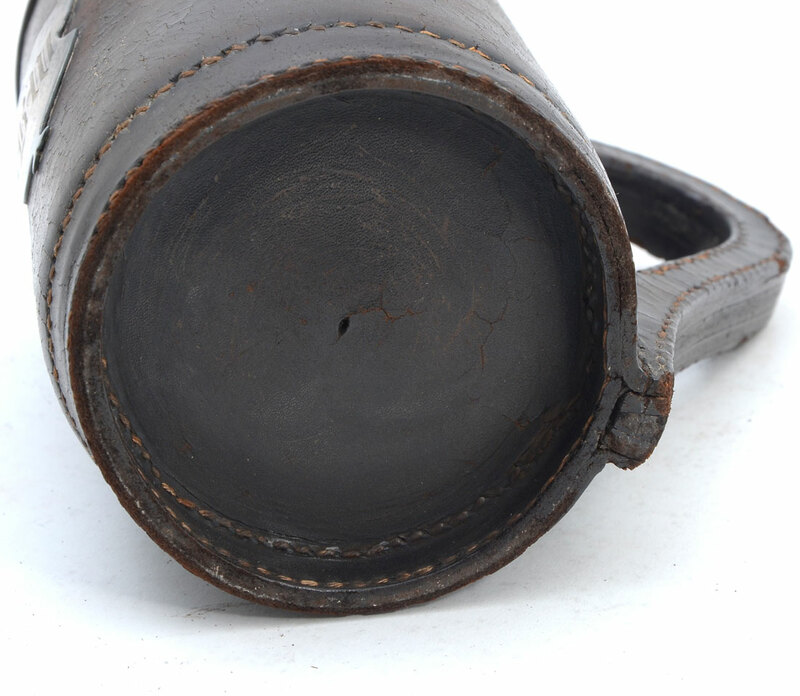 CONDITION: Cracking to leather, wear to handle.